5" round x 10 1/2" high. 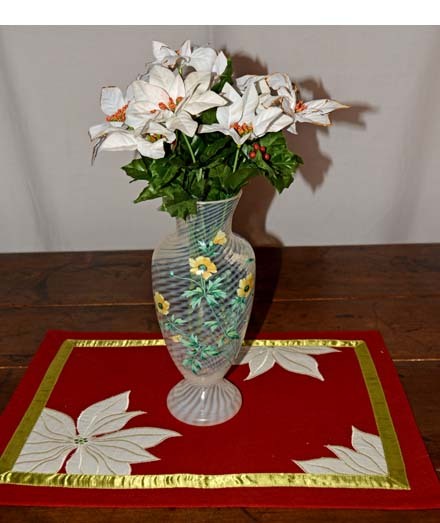 This lovely Enameled Vase has an underlay of the frosted swirl pattern made by the potter. Over this is a hand painted floral design of yellow, green and lavender that is soothing to the eye. Thoughts of Spring and warm temperatures begin to emerge in the midst of a cold winter. 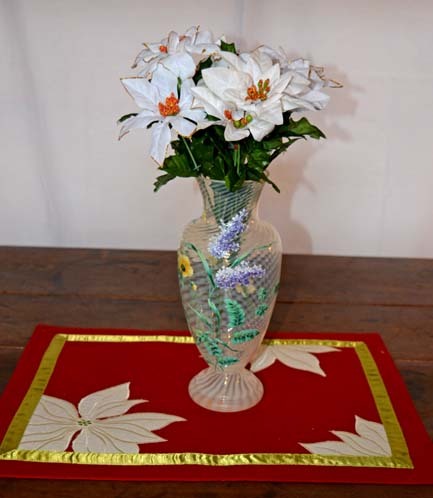 This vase can be used seasonally or as an incentive to enhance the change of the seasons. Whatever your preference, this vase can brighten your day!